Unprotected exposure to the sun can lead to UV-induced skin damage. UVB rays mainly cause burning while UVA rays can cause an alteration to the skin structure leading to wrinkles, loss of firmness and the appearance of age spots. For protection against both UVB and UVA rays, it is important to use a sunscreen product that provides broad spectrum UVB+UVA protection. Scientific research shows that the skin uses topically applied antioxidants to protect itself from harmful free radicals. The antioxidants help neutralize harmful chemical reactions that lead to the signs of photo aging. Although antioxidants do not replace the need for sunscreen, they enhance the protective value of well- formulated sunscreen. 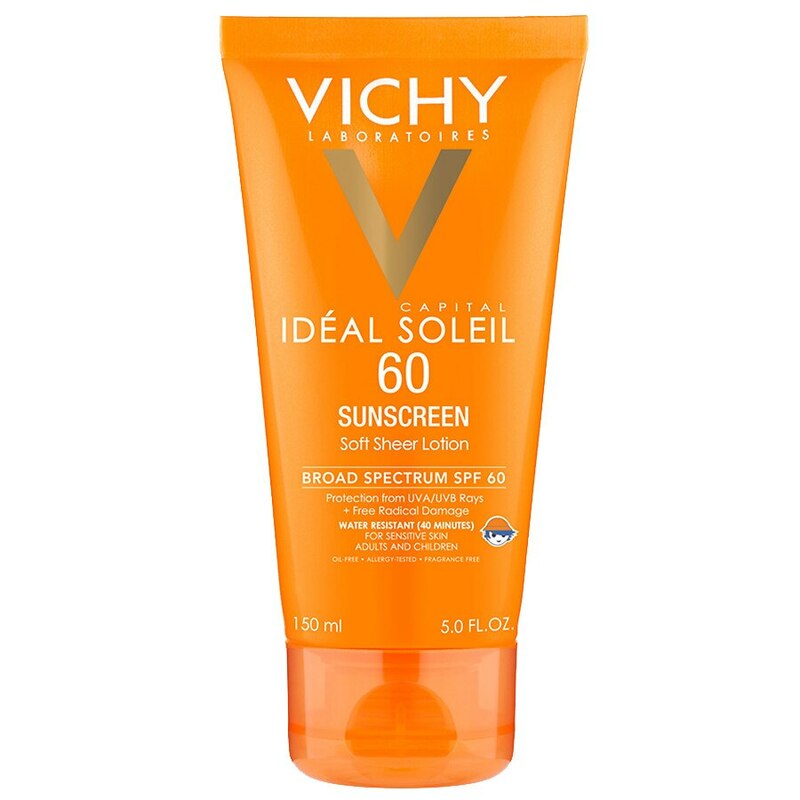 Vichy Capital Soleil Soft Sheer Face and Body Sunscreen Lotion SPF 60 provides broad spectrum UVB + UVA protection and flights skin-aging free radicals. It contains a unique combination of effective UV filters and powerful antioxidants (Vitamin E and White grape extract) to help protect your skin at the cellular level* to level to keep it looking healthy and beautiful. This non-greasy, lightweight formula is allergy-tested, fragrance free and water-resistant. It is absorbed quickly and does not leave skin feeling sticky or greasy. SPF, or "Sun Protection Factor," is the degree of protection a sunscreen offer against UVB rays which cause sunburn. Reapply after 40 minutes of swimming or perspiring and after towel drying. Children under 6 months of age: ask a doctor. Store at 68-77°F (20-25°C).